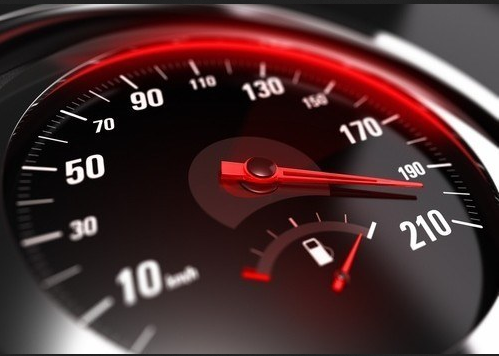 Remember the possible results of speeding while driving: life threatening accidents, police ticketing, a bad driving record and more expensive auto insurance rates. Never drive when agitated or excited. Make a concentrated effort to relax prior to driving. Take a deep calming breath, tune into classical or softer music and stop at the side of the road if you need to compose yourself. Give yourself more time in reaching your destination so you will not tend to speed. Make sure to give yourself extra travel time. Pay attention to how fast you are going by glimpsing periodically at your car's speedometer. Use the cruise control on your vehicle while driving on level highways. Drive slightly slower than the posted speed limit.